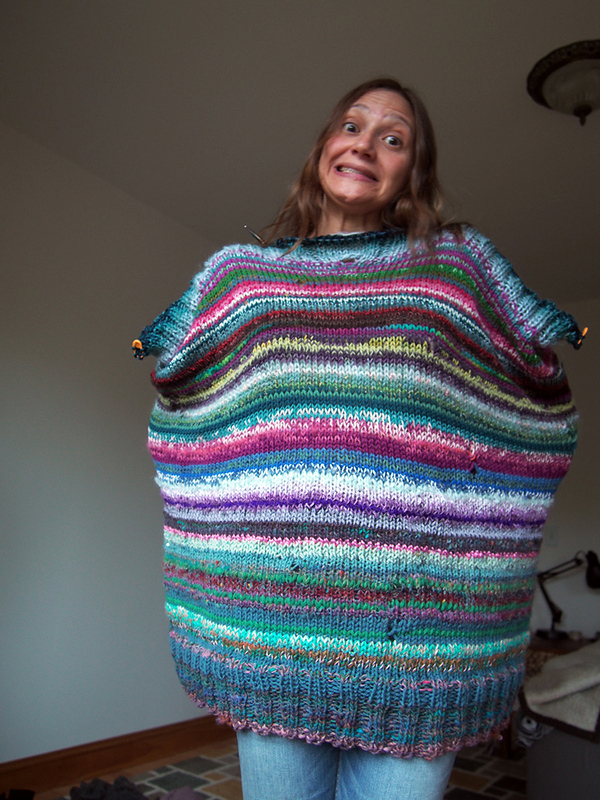 So I've got this thing for finding ways to use up all my scraps of leftover yarns. Hell, they don't even have to be mine, they can be yours -- I take anything, I'm the kitchen sink of stash giveaways. Or maybe the garbage disposal. 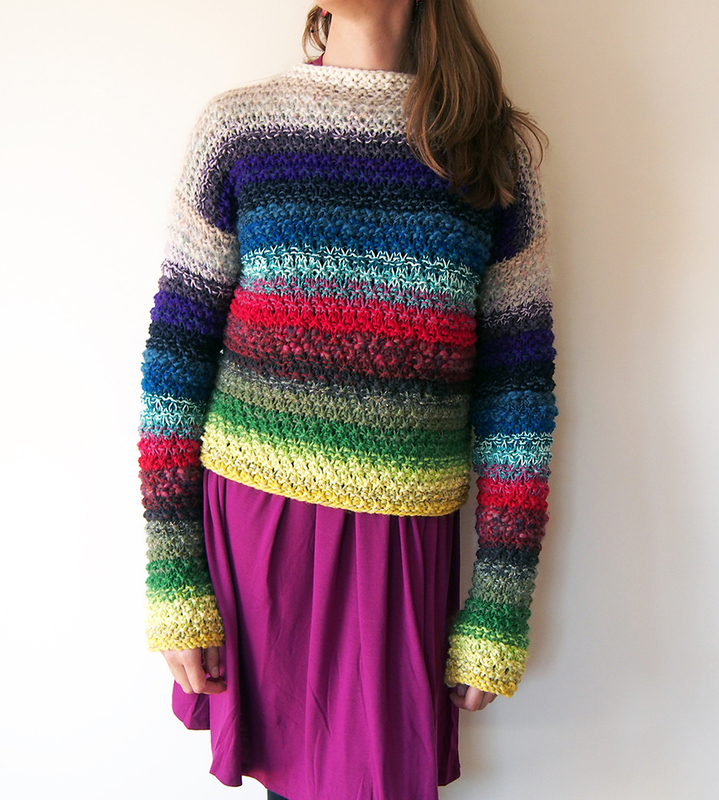 Here's my Scraptastic #1 pullover I made with leftover skeins of yarn, it was a blast. But after this sweater I realized I had a problem. Most of my scraps were getting very short. Some were not even more than a few feet! I thought and thought "How can I take Scraptastic #1 to the next level?" 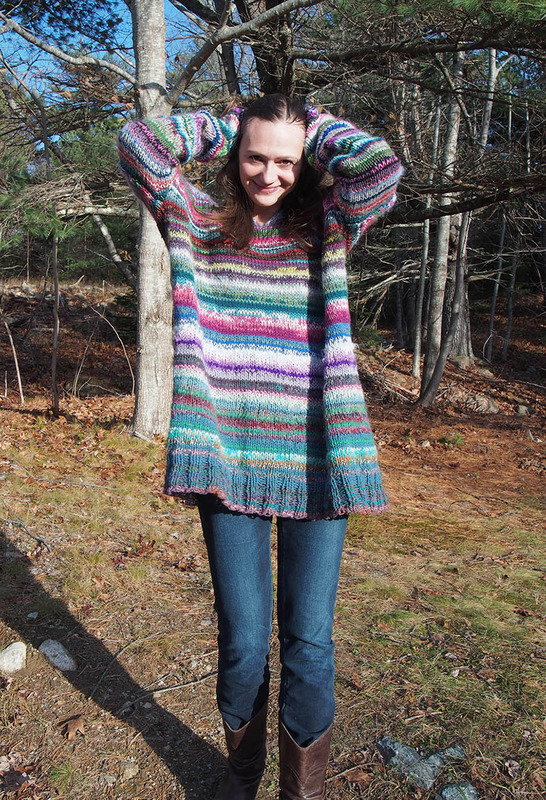 An oversized pullover with ribbed drop shoulders -- and key, seemingly random stops and starts of color. I dragged my 15 pound scrap basket to the living room, grabbed a random yarn end and cast-on some largish number of stitches on big needles. This time I wasn't going to care about 1) yarn weight and 2) yarn length. When a yarn was done I'd just start with a new one. ETA because I've gotten some good questions: Sometimes I paired yarns or tripled them even. Sometimes I knit with one strand of laceweight and then one strand of extra chunky. By using US11 needles the gauge was loose enough to accommodate these differences. What I was going to care about was matching the stripes. 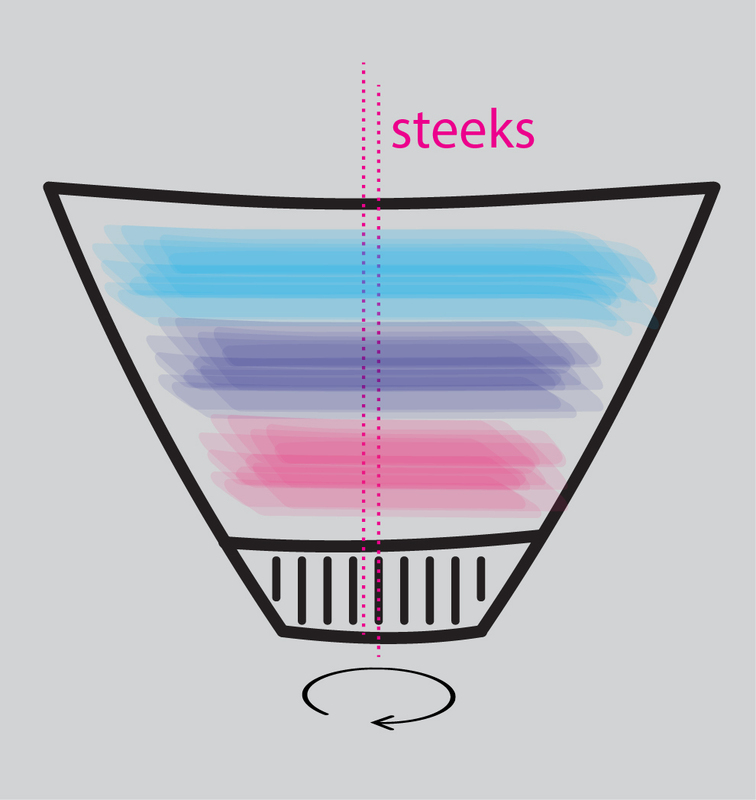 This meant STEEKS. You see, if you do a body in the round, when you stop for the armholes you won't be able to work on the whole body at the same time. 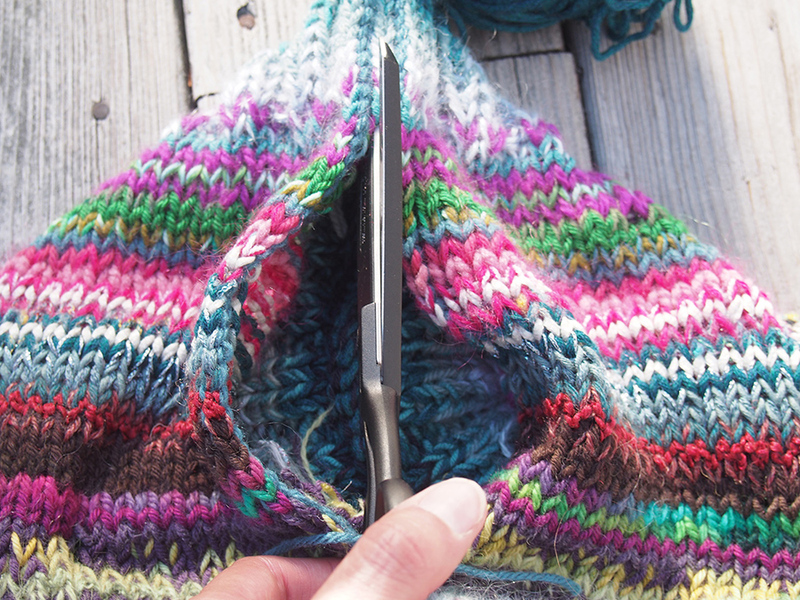 If you have enough yarn, this isn't a problem, you just do one side and then mirror the stripes on the other. 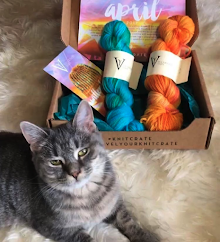 But I couldn't predict how much yarn I needed. I needed to make sure everything was done at once. This meant that I was going to make a big old sack. 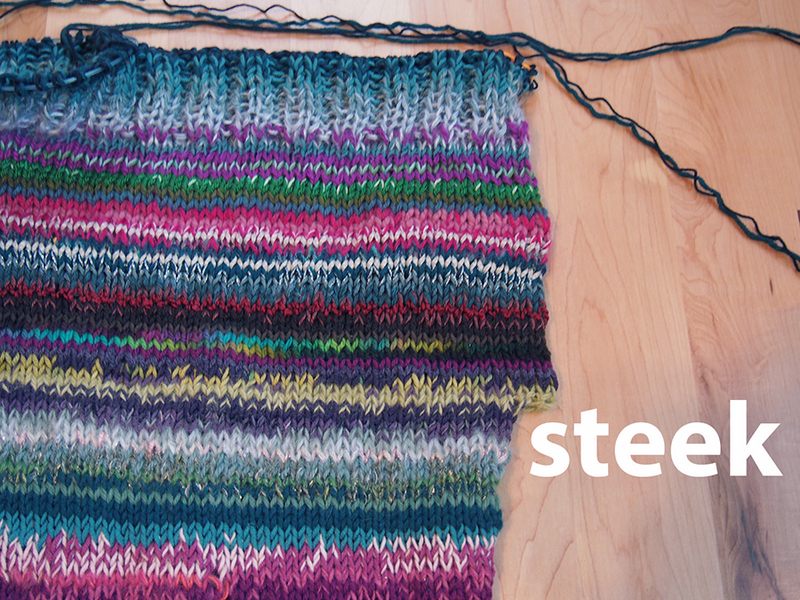 The "steeks" are just 5-7 extra stitches you knit in that is so that you have something to cut through later. Here are the extra steek stitches starting at the armhole -- after cutting they become the sleeve seams. ...and then I slipped it on. Awesome, it worked! So, how was I going to match the sleeves? Check this out. 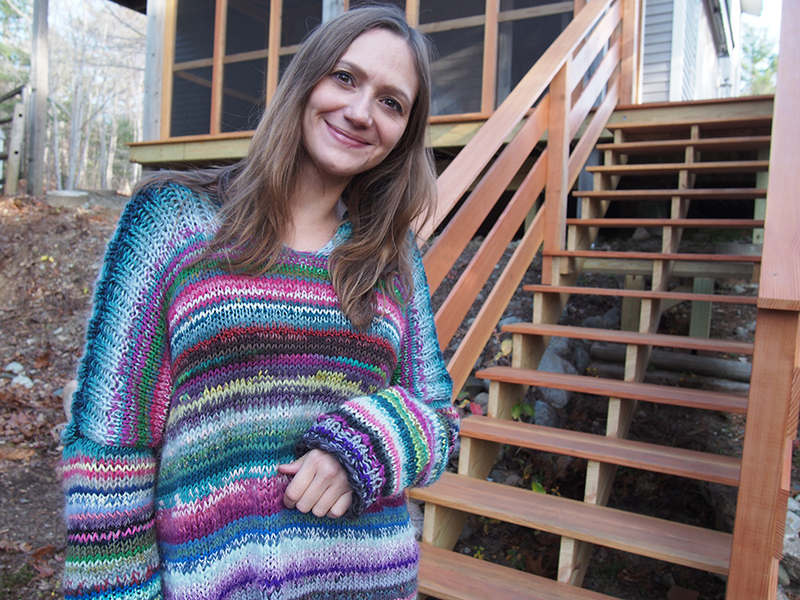 I knit both sleeves at the same time in the round, with two steeks across from each other. 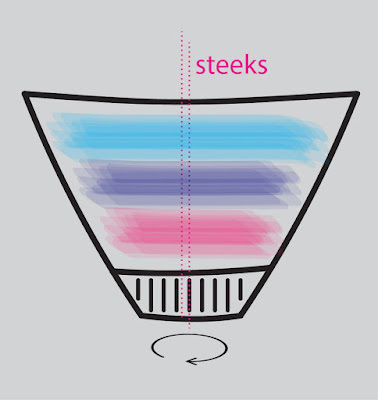 When you cut, you have two of the exact same sleeve stripe pattern! At this point you might notice some pretty big differences between my inspiration and how this was coming out. First, it's in stockinette, not reverse stockinette. That was just a mistake, I totally forgot! :-p Second, you'll see that my sleeves are quite skinny. Heh heh. I think you'll agree it's an improvement. 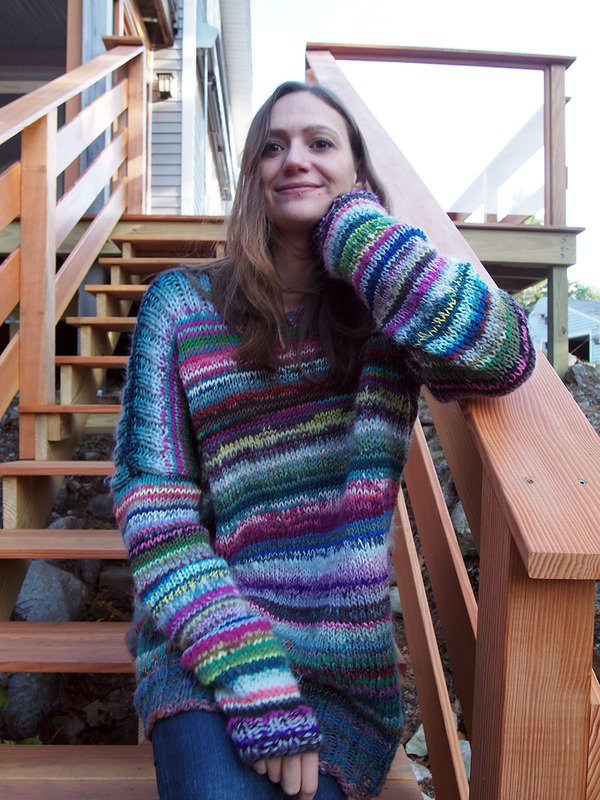 This was one of the most fun sweaters I've ever made. I looked forward to coming home and digging into my basket! You can see how some yarns don't even last half a row... there is so much going on and the surface area is just so big to show it off. I know this shape isn't for everyone! And I know it isn't particularly flattering -- but I do know that when people see me in it, they wish they were in front of the fire with capuccino. 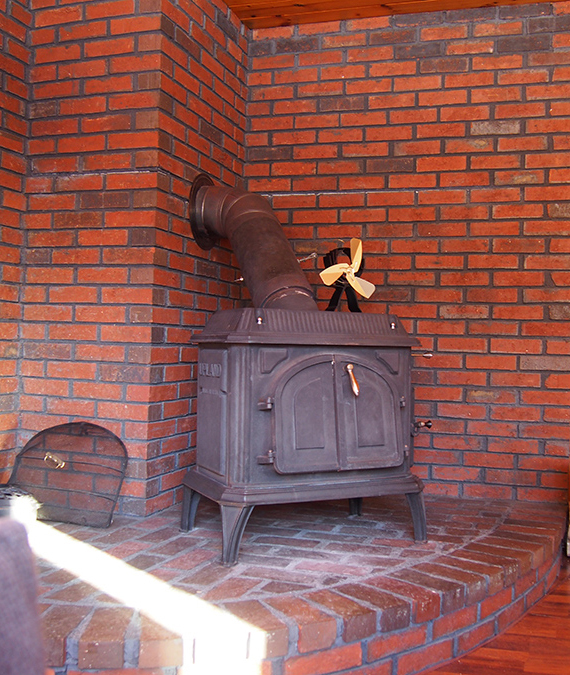 It just evokes that cozy but fun feeling. 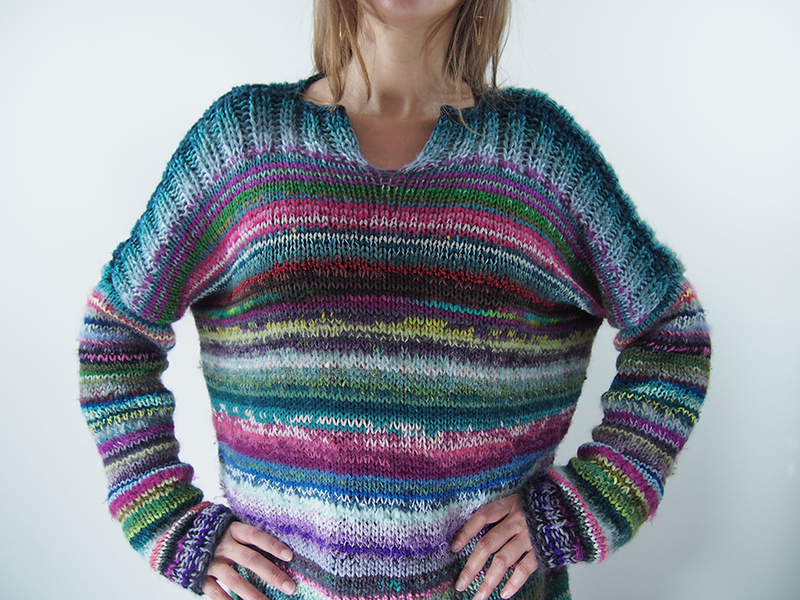 In other news, I'd like to thank you all for your entries to win the Refined Knits by Jennifer Wood! 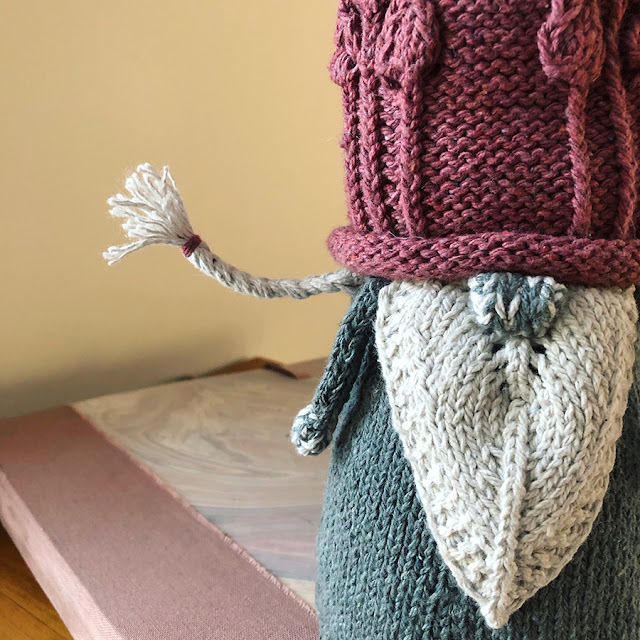 The winner was Lou7 on Ravelry (congrats! ), and her favorite pattern was Victoria. I'm sorry I couldn't send a copy of this lovely book to ALL of you -- but I bet Jennifer would be so pleased if a few of you joined Lou7 in knitting her pick. I also wanted to tell all of you that I've really started posting a lot on Instagram, if you'd like to follow me there, I'd love to see what you are up to, crafting-wise and life-wise! Oh wow. 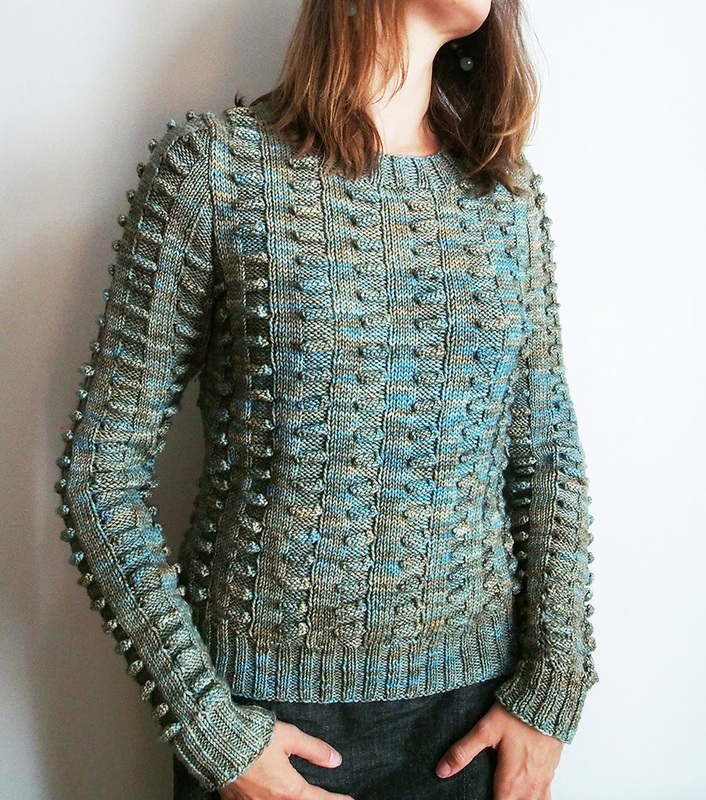 This is the most gorgeous and the most cozy sweater I have seen. I must say you are a genius. Best idea so far! Thank you for the explanation it makes it almost do-able. It's fantastic, Dayana!!! It's just so cozy and perfect. GO YOU!!! So many questions.... how did you use up skinny yarns? doubled them or paired them with heavier yarns? 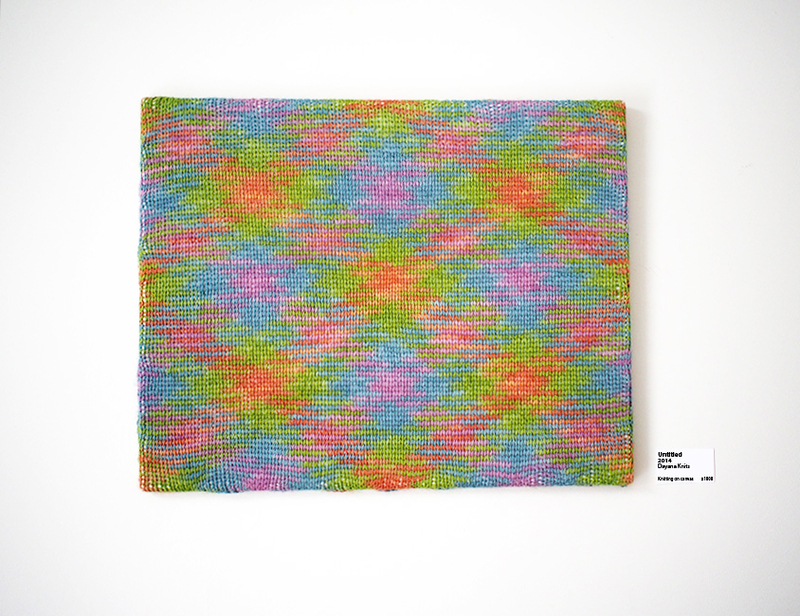 Are the yarns all wool or are there blends in there? 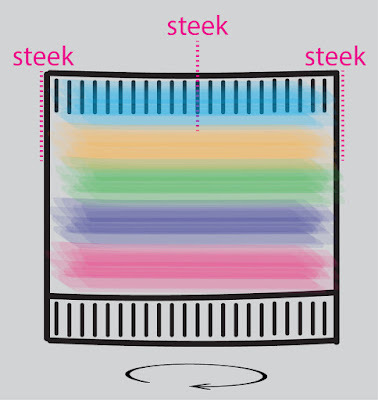 How much thought went into colour or did any thought go into colour? It really does look wonderfully comfortable and cozy. Perfect for a walk on a beach on a cool day or for curling up in front of a fire during a snow storm. Hi, Ali! Sorry for this crazy late reply. Sometimes I used the skinny yarns alone, sometimes I doubled them up. 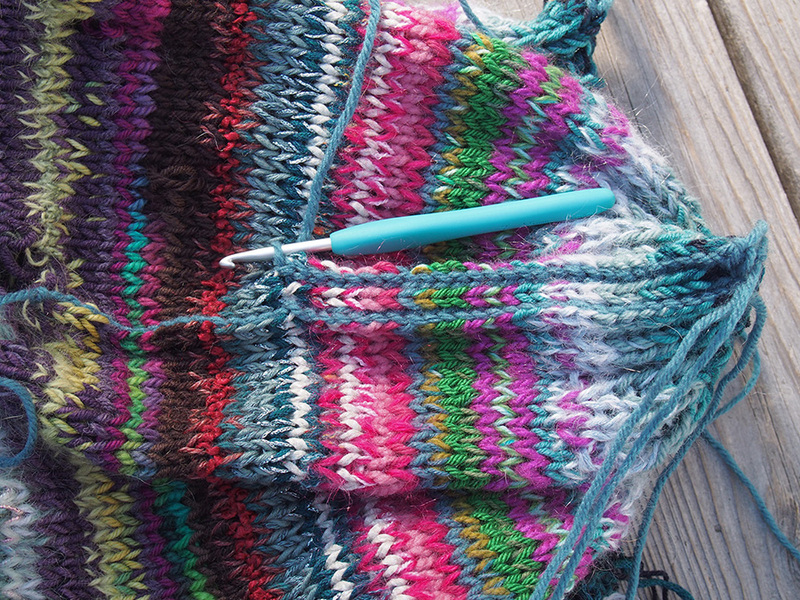 Because I used large needles, I was never really going to get too tight a gauge, and I didn't care if some rows looked lacy. Some thought went into color. 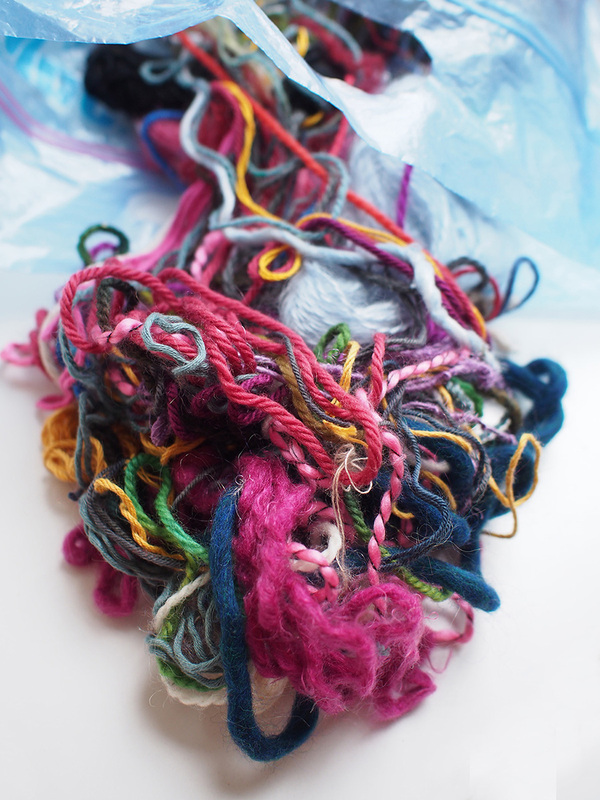 Some people just jam their hands into a basket and knit with whatever comes out... and I think that's ugliness waiting to happen. I made sure the next color matched at least with what had come, but I didn't think too much about the future. I DID get purposeful with the blue gradient on the neck/shoulder ribbing, I wanted that to be really cool. And the cuffs. 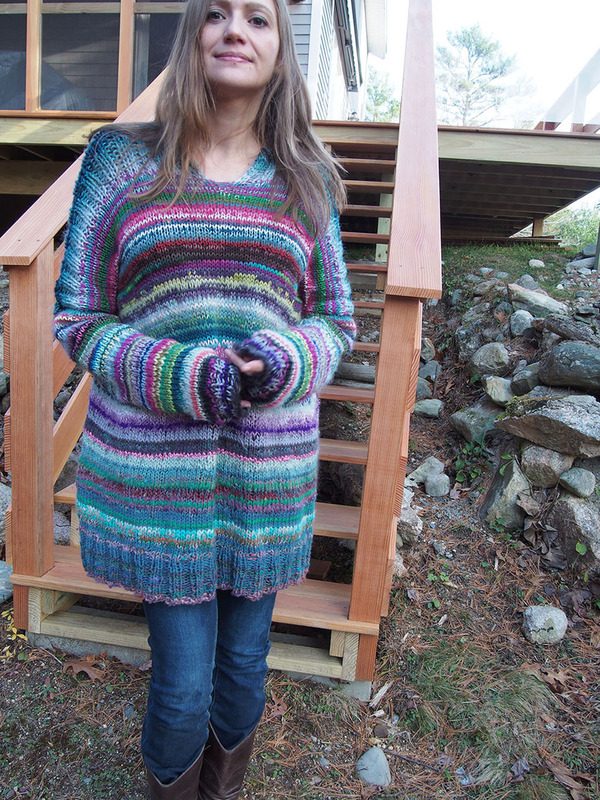 If I had enough yarn I would have done a sweater all in the cuff colors! You make me smile every time you post a new project. 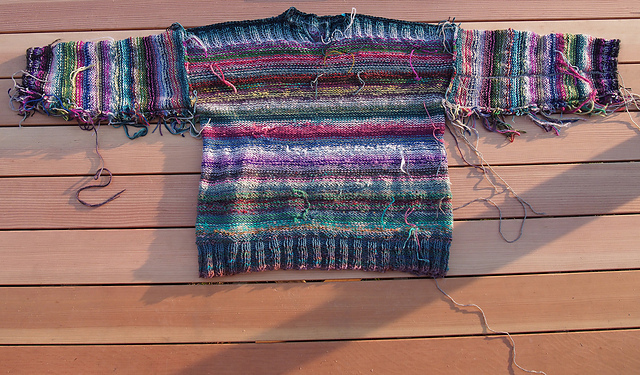 Love the scrap sweater - how clever to use it all up your scraps in this way and the steeking is amazing. 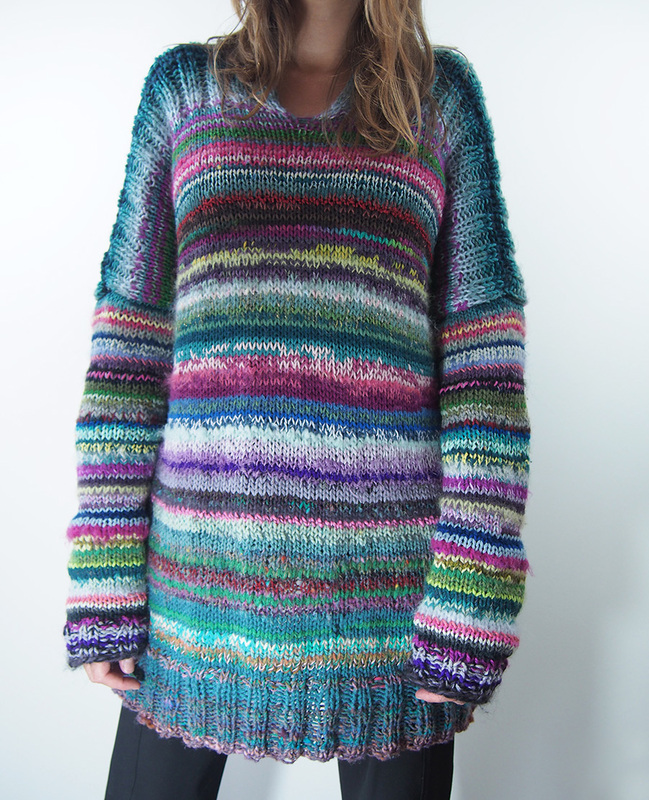 Your sweater looks like a fabulous new Noro colourway. Fantastic result, Dayana! 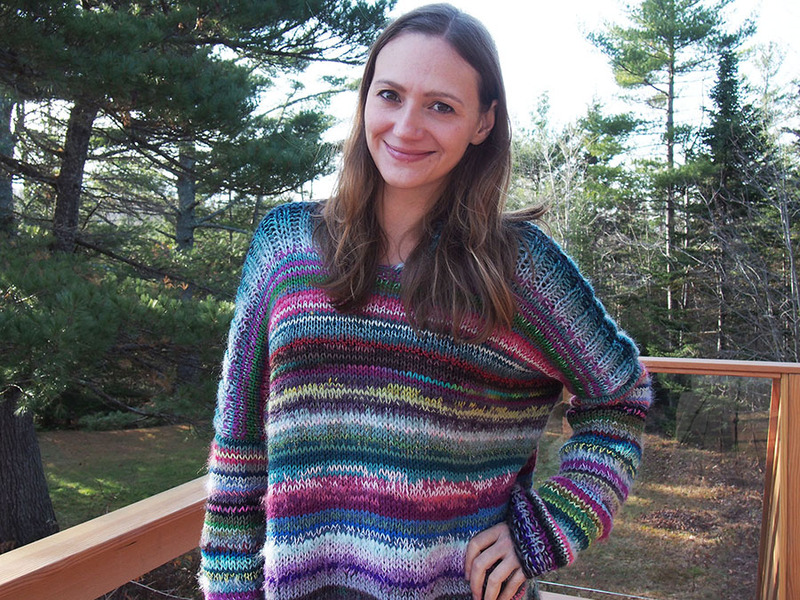 I'm always up for an oversized, cuddle-up sweater. Don't care whether we're in the '60s, the'80s or the 20-teens, I've loved them since I was a skinny little kid wearing hand-me-downs from my teenaged cousins. 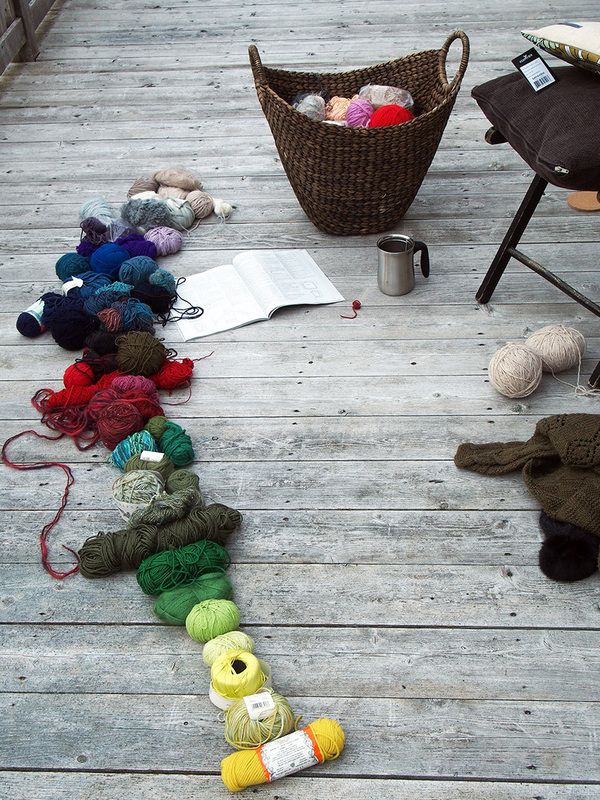 Hey, if you still have scraps to use, you could go the stranded-knitting route by making up two scrap-balls, tying lengths of yarns together as Kaffe Fassett does for one of his early designs (was it the Poppy shawl?). Make one ball of all light colors, the other all dark colors. 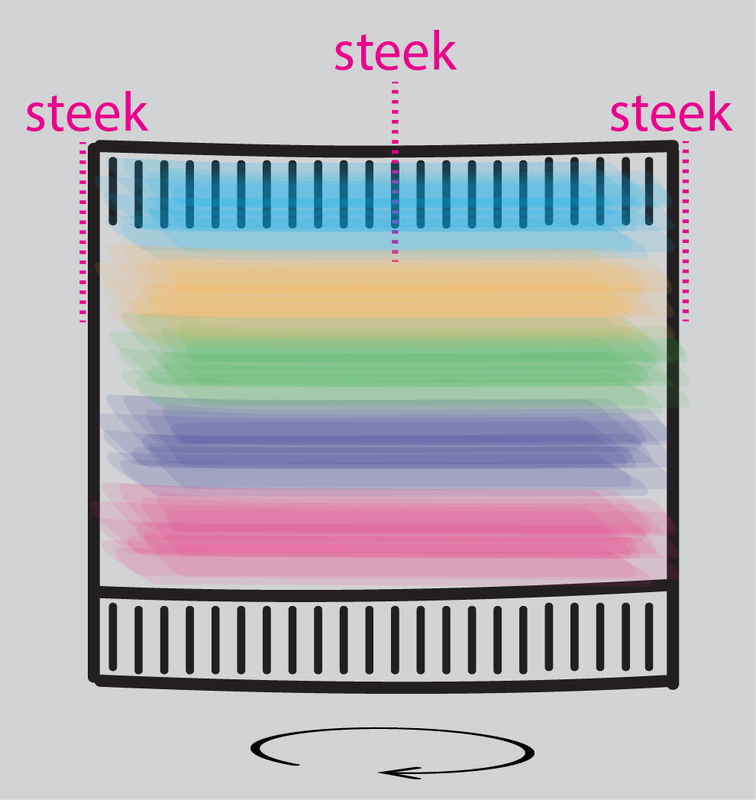 That way you'll have strong contrast for whatever sort of patterning you choose. Looks great in simple corrugated ribbing, as in (if the link works) my [Inspira cowl](http://www.ravelry.com/projects/stashdragon/inspira-cowl) on Ravelry, which followed the example set by my friend Feralknitter. Have fun, whatever you decide to do with the scraps! THIS will be Scraptastic 3, thank you Stashdragon!! I love this! What a great way to use up those pesky scraps! I've just made a ton of useless pom poms with mine! Love your new dog too. Thank you Elma, what a wonderful compliment. 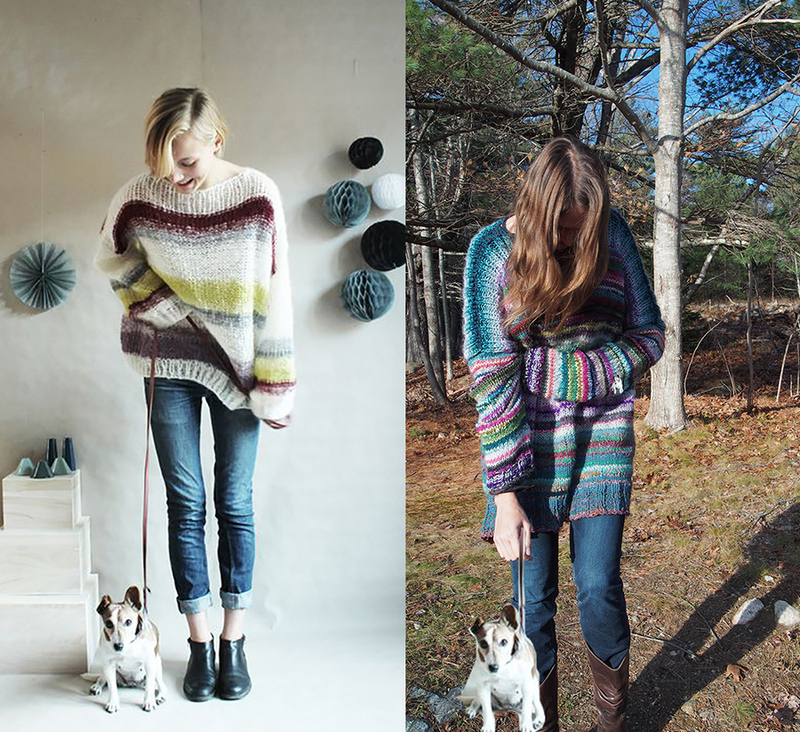 A hearty welcome to the world of knitting!! That's an amazing sweater! Sort of reminds of that Dolly Parton song "Coat of Many Colors"